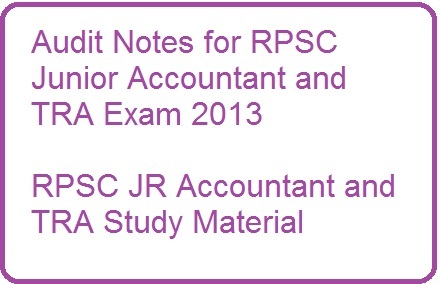 Dear RpscGuru expert readers it was long time gone when we are update RPSC JR Accountant and TRA Study Material. RPSC announced Junior accountant and TRA exam date on 1st October 2016. Lacks of candidate are preparing for this exams. So at list we are saying that a tough completions are faced in this examinations. We are always try to helps all students who does not capable to join coaching classes. 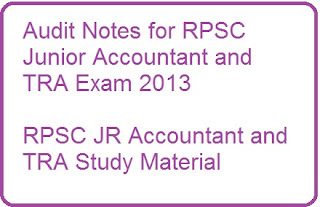 Here we are uploaded 10 Important MCQ Questions for RPSC JR Accountant and TRA exam. 6. Which of the following statements is not true about continuous audit? 7. Which of the following is not a fact of EPA?